ISLAMABAD: The Pakistan Tehreek-i-Insaf (PTI) on Monday moved a petition before the Supreme Court seeking the disqualification of Prime Minister Nawaz Sharif, his son-in-law retired Captain Mohammad Safdar and Finance Minister Ishaq Dar, for their alleged involvement in the Panamagate scandal. 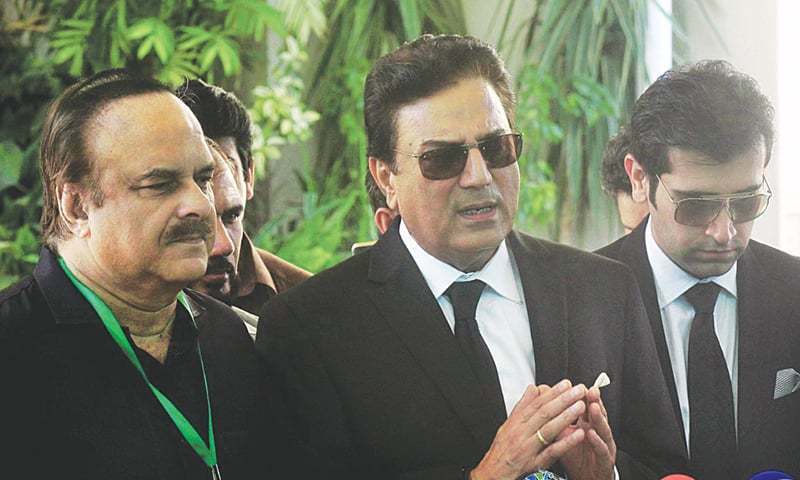 “It was a matter of great embarrassment and breach of dignity of the people of Pakistan that the name of the serving prime minister and his family has appeared in a scandal by the name of Panama Paper[s] leaks,” argued the petition moved by Advocate Naeem Bokhari on behalf of PTI chief Imran Khan. 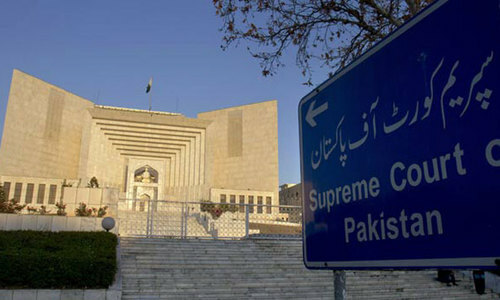 It is against the right to dignity of the people of Pakistan that a person with such a taint should continue as the prime minister, the petition said, requesting the apex court to restrain the prime minister, his son-in-law and the finance minister from acting as members of parliament until a final decision on the petition. This is the third such petition to be filed before the Supreme Court. Earlier, Jamaat-i-Islami (JI) chief Sirajul Haq and Tariq Asad, a private citizen, had both sought the appointment of a high-level judicial commission to probe the investments allegedly made by the prime minister’s family and others through offshore companies. On May 13, the apex court had declined to accept the federal government’s request to appoint a commission of inquiry to probe into the Panamagate scam. It also returned the JI petition, declaring it to be “frivolous”. The Pakistan Bar Council (PBC), meanwhile, through a resolution has asked the top court to take suo motu notice of the matter by calling upon the prime minister and his children to provide details of their financial expenditures, starting from January 1985. Supreme Court Bar Association (SCBA) President Barrister Ali Zafar has also called for special legislation to empower the proposed commission to effectively probe the Panama Papers leaks. Drafted by PTI’s legal expert Hamid Khan, the petition asks the court to order the recovery of allegedly looted and/or laundered monies, along with properties that were purchased through companies located in the British Virgin Islands and other tax havens. It alleged that the prime minister, his family members and Senator Ishaq Dar had been identified as money launderers, currency smugglers and the purchasers of extremely expensive foreign properties in the name of minors; who set up offshore companies in the British Virgin islands and other havens; set up bogus foreign currency accounts; flouting all legal controls over foreign declarations and setting up the Gulf Steel Mills in the UAE without ever disclosing the manner of money transfer and admittedly selling the mills for $9 million and not declaring the amount. 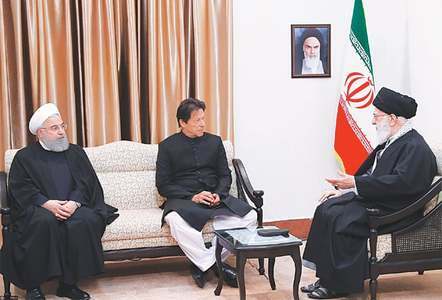 They have also been accused of involvement in the setting up of Azizia Steel Mills in Jeddah, wrongly claiming that the London properties were purchased through the funds generated from the mills’ sale, repeatedly submitting false declarations of their assets, completely failing to pay taxes and other dues, lying on the floor of parliament and covering up their criminal activities in connivance with the National Accountability Bureau (NAB) and Federal Board of Revenue (FBR). There is incontrovertible evidence that the four apartments in London were purchased between 1993 and 1996, and a fifth in 2004. Another property, 1 Hyde Park was purchased later, the petition alleged. Another startling admission by the prime minister in his wealth reconciliation statements for the tax year 2011 was the receipt of $1,914,054, equivalent to more than Rs200 million, as a gift from his son Hussain Nawaz. Of this amount, the prime minister claimed to have gifted Rs31,700,000 to his dependent daughter (Maryam Safdar) and Rs19,459,440 to his son Hassan Nawaz, the petition alleged. Citing the personal tax statements of the prime minister from 1981 to 2010, the petition alleged that tax evasion, wrongful declaration of assets, withholding of material assets, money laundering, illegal money transfer and non-payment of government dues was established from these documents. Holding the office of prime minister for the third time, a much higher burden is placed upon Prime Minister Nawaz Sharif in terms of qualification, disqualification, upholding the constitution and abiding by the law, the petition said. The petition has also asked the court to order NAB Chairman Chaudhry Qamar Zaman to complete investigations into the mega-corruption cases, pending with the bureau over the last 15 years. The petition also asks for directions to the interior secretary to place the name of the prime minister and his family members on the Exit-Control List (ECL). It calls for directions to the law secretary and the NAB chairman to initiate the process on behalf of the government for the recovery of the properties in question, while the Federal Board of Revenue (FBR) should also be asked to minutely scrutinize the tax returns and assets declarations of the prime minister and the entire Sharif family.